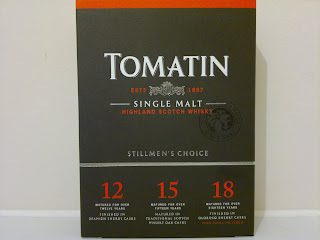 So regulars to the blog will know I had the pleasure of dropping by the Tomatin distillery which is just off the A9 in-between Inverness and Aviemore. It's an impressive complex in its own right, only a stone's throw away from the main road route through the Highlands. Yet like its discreet position, it has a low profile in Scotland. You can see some of the photographs here that I took on my brief visit. It is a huge distillery, almost military in size and layout; needless to say it’s the largest example in Scotland. Owned by the Takara Corporation it's a popular component in blends. 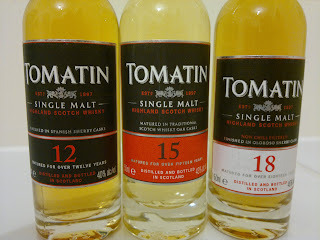 However like Clynelish, some of Tomatin’s editions warrant a better fate. The 12 year is finished in Spanish Sherry Casks but matured in bourbon casks. I never tasted the previous edition of this but by all accounts this is a tremendous improvement. The description..
A real surprise, I wasn't expecting much from this staple blend filler. 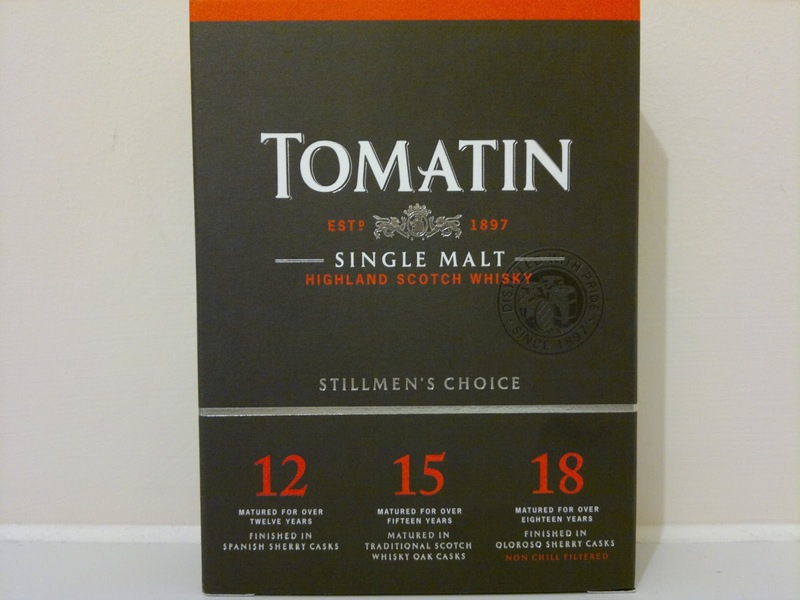 Yet this is a Speyside tasting malt with a vibrancy and freshness that will appeal to all. The finish is subtle, unlike the 15 year old, which I'll get onto later this week. No match for the 10 year Glenmorangie but a worthy contender in the supermarket isle if you fancy a well-priced single malt.